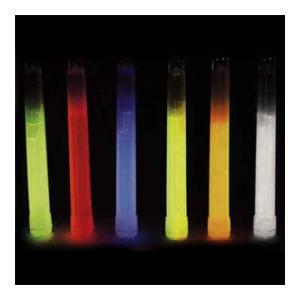 6 inch Super Size (15mm) Individually Foil Wrapped 12 Hour Safety Glow Sticks. MADE IN THE USA. 4-Year Shelf Life. Available in 6 neon colors: green, yellow,blue, white, orange, and red. Contact us for special assortments. Highest Quality Glow Stick Available! Super Bright! Great for Any Event! !